In Year 7 students are offered experiences in a range of textile techniques and processes, including printing techniques, embroidery, digital pattern work and construction. The Year 7 textiles curriculum is taught alongside the Art and Design curriculum with textiles outcomes complimenting and extending students’ art final pieces. The curriculum is specially designed to give our students a rich art and textiles experience in preparation for GCSE courses. Projects all begin with Observational DRAWINGS, alongside the RESEARCHING of work by textile artists and designers, learning to analyse work and use this to inform their ideas (UNDERSTANDING). They then learn and EXPERIMENT with a range of techniques and media and use this to develop creative DESIGN IDEAS (PREPARATION). All projects culminate in a FINAL OUTCOME (PRODUCT). In Year 8 students are offered experiences in a range of textile techniques and processes, including applique, reverse applique, embellishments and construction techniques. The Year 8 textiles curriculum is taught alongside the Art and Design curriculum with textiles outcomes complimenting and extending students’ art final pieces. The curriculum is specially designed to give our students a rich art and textiles experience in preparation for GCSE courses. Year 9 is a foundation year preparing students for their GCSE course in Textile. Between September and February students experience a mini GCSE project from personalised starting points. 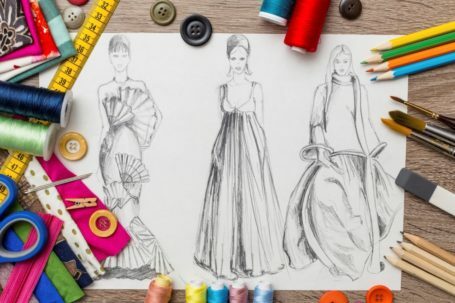 In February, when Students have confirmed their options, they begin their GCSE in Textile Design starting with a module focusing on the developing their knowledge, understanding and ability to apply a variety of textile techniques. At Key Stage 4 the department offers students the opportunity to study for a GCSE in ‘Textile Design’. During our A Level Textile Design course students will develop independent thematic projects based around a variety of starting points such as Sanctuary, Environments, The Self, Abstract and Conceptual Art and Still Life. Students develop themes that interest them and allow for sustained focus. At A Level, students begin with a series of workshops in order to develop knowledge, understanding, skill, creativity and the ability to consider textiles in a conceptual manner. Students then develop independent portfolios of work working through the creative process from Records of Observation (DRAWINGS, PHOTOGRAPHS), ARTIST RESEARCH, EXPERIMENTATION, IDEA DEVELOPMENT and DESIGNING to the creation of a FINAL OUTCOME.